The mascot of California State University, East Bay, my undergrad alma mater, was “Pioneers”. Not exactly what you’d expect to call the sports teams of a college which sits smack in the middle of a massive, sprawling Bay Area landscape, festooned by freeways. All the same, pioneers aren’t just men and women in a covered wagon, heading West through sheer grit and determination. A pioneer is an explorer, is someone who leans headstrong against the tide, and advocates for the unthinkable, pushing boundaries. Someone who might be comfortable, but knows that something better is out there if they just push a little harder. In thinking about how I market myself, it occurred to me that much of my career highlights are indicative of a pioneer mindset. Not the “sleep on the ground and eat dinner at the campfire while fending off bears” pioneer, mind you; my idea of roughing it is the Howard Johnson’s. 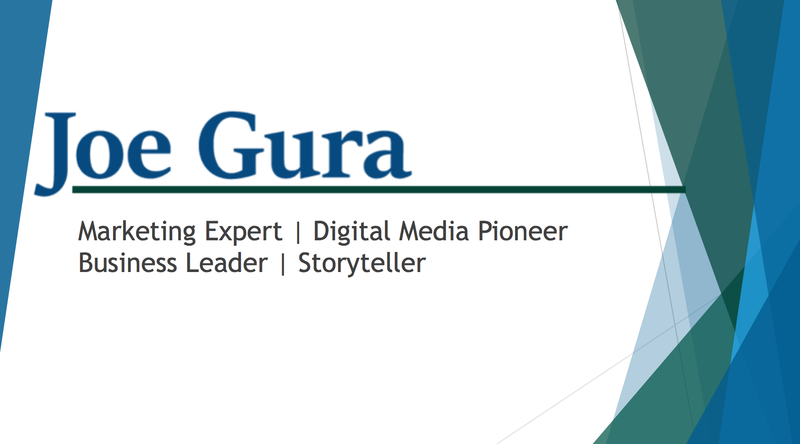 Visit slideshare.com/joegura to see my portfolio. Expanding my TV station’s digital reach into social media in 2006, even though the platform was owned by a competitor, because the goal is to build community and connect our audience with our brand. Proposing an “American Idol” reveal for a security contest at Microsoft, well outside the established model of just “publish a blog post and call it good”. Insisting we could produce, edit, and publish an around-the-world low-budget video with a “boots-on-the-ground” perspective of a major release. Convincing people that even though we had to travel to Sydney, Melbourne, Oslo, and Helsinki, it could be done within six days, lead to audience gain, and stir another press cycle. In days of old, as in modern times, pioneers mitigate the risk, overcome the resistance, and get the results. This entry was posted in Business, Career, Leadership, Marketing and tagged Adversity, Advertising, Audience Centric, Business Goals, Digital Marketing, Integrated Marketing, Leadership, Marketing. Bookmark the permalink.